If you’re tired of facing pesky arm fat when you look in the mirror and refuse to wear sleeveless shirts, then arm liposuction might be the perfect procedure for you. 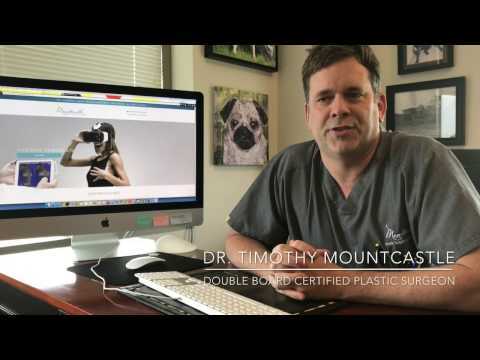 Ashburn, VA cosmetic surgeon, Dr. Timothy Mountcastle, uses the surgical procedure to produce slimmer, tauter arms that a patient is no longer ashamed to show off. Dr. Mountcastle uses a specialized steel tube, known as a cannula, to manually remove stubborn, unwanted fat. Depending on the patient’s condition, he can also use several other variations for effective results. Arm liposuction is recommended for patients who are near their ideal weight but who have achieved no real results from diet and exercise alone. "Amy is the best!!!! I absolutely love her... she answers all my questions and makes me feel so comfortable!!! She ALWAYS has a smile on your face and is so welcoming. Meredith is amazing!!! She is so kind and caring. She answers all my questions and makes me feel at home. Very sweet lady!!! Both Amy & Meredith are a get duo... the team they have there is outstanding. Keep up the great work ladies!!! #TAGTEAM I recommend this place to all my friends and family!!! They also have the BEST pricing in the area. 100% BEST MEDICAL SPA AROUND." "was very nervous about getting a lipoma removed, that has grown over the years ...but when I searched up mountcastle office I just knew I had to make an appointment as soon as possible...the staff was caring, they answered any questions you may have ! Dr.Mountcastle is one of the best doctors I have met, not only does he listen to your needs he talks to you during the procedure step by step making sure that you are comfortable and dont feel anything ..I will be recommending anybody that needs any type of work done to his office!! He made my procedure fast and quick it was over in a blink of an eye ..and very pleased with my results ,no pain what so ever , thanks again you guys...you guys are the best"
"Very friendly and professional staff"
"I have been using Mountcastle Medical Spa & Laser for almost two years and I highly recommend the technicians, the staff and this facility. I trust Amy's recommendations with Botox and filler, and the results are always as I request. I like to look refreshed and not "done" and Amy's skills ensure that every time. I have facials and IPL with Regan, also with superb results. Regan always makes a point to ask me what my concerns are prior to each treatment. She also explains the process of each treatment and what to expect. As a result, the treatments are stress free and I'm always happy with the results. Regan's suggestions for skincare products have helped me tremendously and I'm now much more methodical in using sunscreen correctly! Scleratherapy with Ashliegh is great for the same reasons. She's skilled and effective so now after two years, I can pop in for touch up treatments. The Mountcastle Medical Spa & Laser center offers a very welcoming environment. The front desk team is always efficeint and helpful in scheduling and the lounge and treatment rooms are inviting and comfortable. Everything from scheduling with them, to on-time appointments, to their monthly specials makes a visit with Mountcastle Medical Spa & Laser positive experience. At 64 years of age, I am pleased to have found my "go-to" place!" "I called and the woman at the front desk was wonderful and got me in the same day. I filled out paperwork and went directly back. The nurse Ashley who did my sclerotherapy for my spiderveins was so incredibly sweet and did an amazing job. I highly recommend Mountcastle med spa they are just wonderful!" With traditional liposuction, a steel tube, or cannula, will be inserted into an incision made near the elbow or armpit of the upper arm. The cannula is used to loosen the fat and a suction device is then used to remove the fat completely from the arm. Another form of the surgery is tumescent lipo, also referred to as “super-wet.” With this procedure, a special liquid, consisting of saline, Lidocaine, and Epinephrine, is injected into the arm prior to the traditional liposuction procedure being performed. This procedure allows for an easier and quicker removal. Laser-assisted lipo can also be utilized where laser technology is used to melt and loosen stubborn fat for easier removal. This form is considered less invasive than other forms of liposuction. The surgeon will determine the most appropriate method for a patient’s condition and to meet his or her aesthetic goals. A patient will receive proper anesthesia prior to arm liposuction to minimize pain and discomfort. This outpatient procedure will be performed in an accredited surgical facility. Liposuction of the arms can take around 1 hour to complete. After the procedure, the patient will wear a compression band on the arm to minimize swelling. Patients can expect pain, swelling, bleeding, and stiffness after surgery. The surgeon will give detailed care instructions to promote proper healing, including resting for about 2 days after surgery and keeping the arms elevated. Full results may not be achieved for several months following surgery. Scars from arm lipo should be minimal and well concealed. As a result of the surgery, patients should expect tighter, minimized arms that are more proportionate to the body. While arm liposuction can provide long-standing results, a patient must practice a proper diet and exercise regimen to prolong the effects of the surgery. If a patient gains weight, it can erase the positive benefits of the surgery. As with any surgery, there are associated risks. Some of the most common include: allergic reactions, scarring, development of hematomas, dimpling, lumpiness, discoloration, numbness, and sagging skin. In some cases, a second liposuction surgery is needed to minimize these side effects. The length of recovery varies from patient to patient. Strenuous exercise should be avoided for close to 2 weeks after surgery. Most patients can return to work within 1 to 2 weeks following arm liposuction. Swelling and bruising should usually be fully resolved about 3 weeks after the surgery.